The 2017 Arizona Veteran Survey is the first ever comprehensive survey of our military, veteran and family population. It’s the first time this wide of a group has been surveyed about this wide an array of issues. The Arizona Veteran Survey is open to all service members, veterans, family members, helpers, providers and community supporters. The survey is available until August 31, 2017. Deadline extended to September 30! How do you take the survey? We estimate it will take 15 – 30 minutes to complete the survey. The survey has to be completed in one sitting once you start. Yes, the Arizona Veteran Survey is completely anonymous. No personally identifiable information is collected. At the end, survey takers are given the option to sign up to receive a copy of the survey summary and/or survey rewards, however this sign up process is completely separate from the survey responses. Why is it important to finish the survey? You can leave any question that you don’t want to answer blank, however we highly encourage you to finish the survey if you can. By finishing the survey you help to provide the most complete information possible to inform how our community responds to the needs of our military and veteran community. The information you provide will be added together with the information from everyone else who takes the survey to provide a picture of the strengths, needs, challenges and opportunities for Arizona’s service members, veterans & their families. The information from the survey will also help us better understand how the military and veteran community is accessing resources and what barriers may be preventing access to those resources. All information will only be reported as group data. For the Indian Health Service and tribal questions, data will only be reported with the permission of the organizations. To thank everyone for taking the time to complete the survey, we are offering several different rewards. Everyone who completes the survey can request that a copy of the survey summary be emailed to them (likely in fall 2017). We will also have drawings for gift cards and the opportunity to designate a charity for a donation if we meet the overall survey targets of 1000 and 2500 surveys. Please see the survey page for details. Update! We surpassed our goal of 2500 surveys! Our stretch goal is 5000. Please take and share the survey to help us get there. Why are rewards available to complete the survey? We want to acknowledge the time people are taking to complete the survey and also challenge our community to share the survey enough that we reach our goals for the total number of surveys completed. Why is it important to share the survey? We need a comprehensive look at our military, veteran and family population so we need to hear everyone’s voice. By sharing the survey, you are helping to strengthen this effort and the results and ensuring that your the voices of your family, friends and colleagues are heard. How do I share the survey? Visit the survey page and scroll to the end under the Share icon for links to email the survey and share it through Facebook and twitter. You can also share this post on Facebook. Who are the partners on the survey? 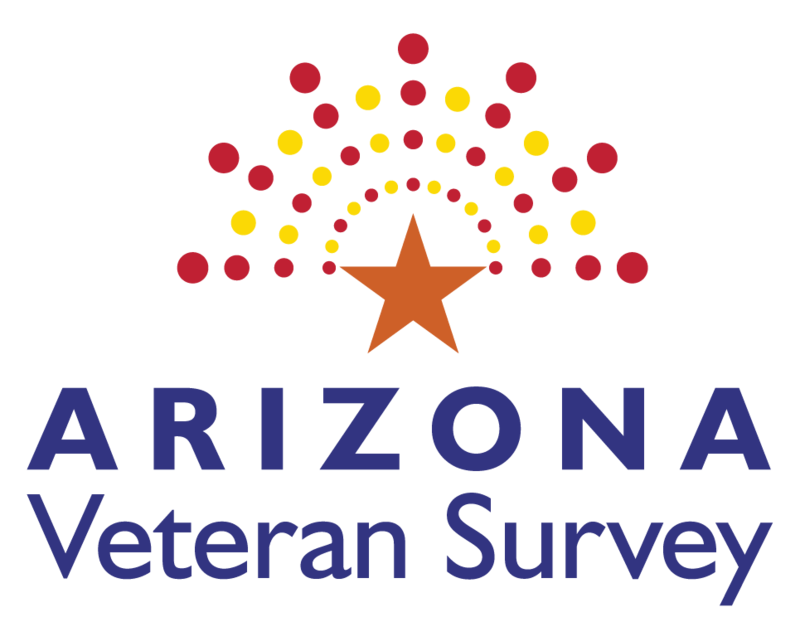 The Arizona Veteran Survey is a project of the Arizona Coalition for Military Families, being conducted on behalf of and in partnership with our military, government and community stakeholders. The Coalition is Arizona’s nationally-recognized statewide public/private partnership and implementer of Arizona’s statewide plan to strengthen services for the military, veteran and family population. The Coalition will work closely with our partner organizations to utilize the feedback to advance the plan.